We’re tired of all the shouting matches and echo chambers on social media, and thought you might be, too. So we decided to build a place for a smart discussion about the news. Around here, we still believe rigorous journalism and bold ideas are powerful things that will shape the future. We also believe that our readers collectively know more than we do. 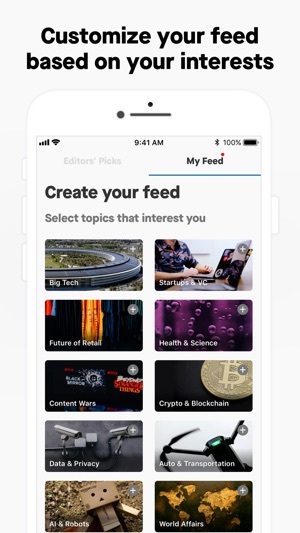 In our new app, we’ve gathered a community of curious thinkers and doers to have high-quality discussions about the most important stories each day, and we’d like you to join us. It’s like an ongoing discourse with people like Bill Gates that you’ll be able to carry around in your pocket and contribute to. - News for you, curated by us--featuring all major publishers including the Wall Street Journal, Bloomberg, Quartz (hi! ), Recode, the New York Times, WIRED, Reuters, and many more. - Personalize your news feed with the topics you love. - Follow your favorite thinkers from technology, finance, business, politics, and more. - Engage with an informed community of leaders, subject matter experts, and curious minds. 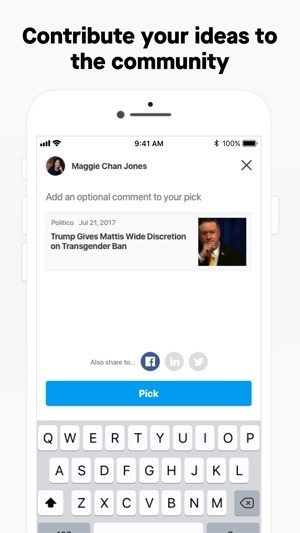 This app offers a digital subscription option: "Quartz membership (monthly)," a renewable monthly subscription to premium Quartz content for $14.99 per month after a 7-day free trial. The length of the subscription is one month. Payment will be charged to your iTunes Account at confirmation of purchase. Subscription automatically renews unless auto-renew is turned off at least 24-hours before the end of the current period. Your account will be charged for renewal within 24-hours prior to the end of the current period, at a cost of $14.99 per month. Subscriptions may be managed and auto-renewal may be turned off by going to your Account Settings after purchase. Any unused portion of a free trial period, if offered, will be forfeited when you purchase a subscription to Quartz, where applicable. Want to know a secret? We’re working on some big things (!!!!) 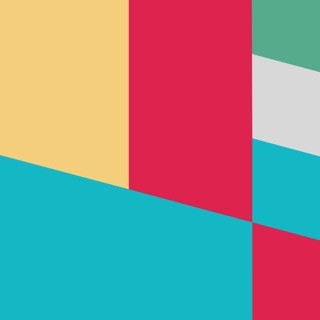 to make the Quartz app even more awesome. Be excited. Meanwhile, here’s a few bugs we worked out for you to enjoy the app *right now*. -There’s a featured comment section. Why not try to get on it? -Onboarding got a little tweak. Love us? Rate us! Have a question? 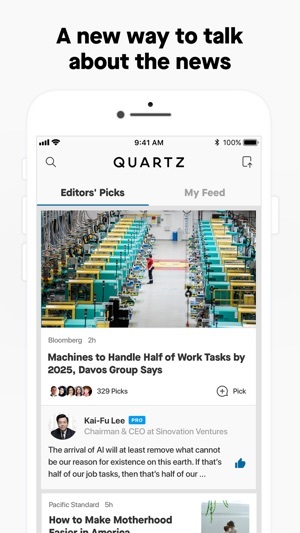 Write us join+app@qz.com"
I’m using the app just like how I use pocket—instead of saving online content to the pocket, I pick it on Quartz, which, in addition to features offered by Pocket, also allows me to leave a thought/note if I’ve read through the story, or just pick it and I can read it and add a comment later. I also get to see what others are commenting, another useful feature I’m not getting elsewhere. I am very satisfied with the news feom Quartz—it is news not gossip. My thanks and appreciation to your group of reporters who know what real news is and work diligently to report it unbiased and reporting inly what is truly important and reporting the real truth about it without tainting it with agendas and personal interest. I love the fact that here at Quartz teeth is told as it is—as the teeth—and not changed or modified according to what the world would like it to be. A phenomenal app to read the latest and most important stories. 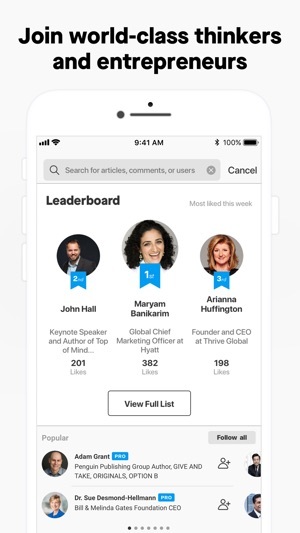 Although my favorite part is the community aspect - Not only do I get access to endless quality content, but I also get to read comments from business leaders and CEOs. This app is great to gain knowledge on different topics and learn perspectives from people all across the globe. Thank you for your feedback! We're glad to hear you're enjoying the app.